Improvement can mean adding something new, it can also mean removing something that is not that well received. Almost three years ago, Microsoft introduced Rooms alongside with Windows Phone 8 announcement. Room is a space where invited guests can share information to a specific group of people in the room. Well, with the new Windows 10 Insider Preview being released last week, we saw many things, but we also didn’t see a lot of things, and Room is one of them. 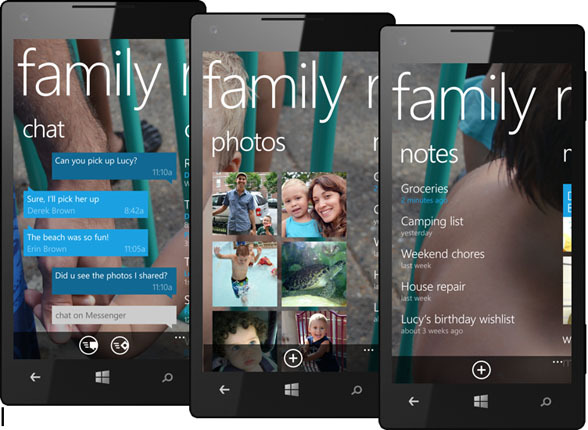 As it turns out, Microsoft is closing the door for Room to be appearing in the next version of Windows for Phone. Official statements from Microsoft saying that starting next month, users will start seeing Room disappear. To be clear, existing Rooms will still be exist on Windows Phone 8 and 8.1. However, activities and what you can do with them are limited. For Windows 10, you can access your Rooms contents with the new and improved Photos, Calender and Notes app, all of which have features from the formally known as Room.